The project WAW 2015 means Water Awareness 2015 Solutions. As its name suggests, with this project, Good Planet Belgium look for solutions to water issues around the world by 2015. 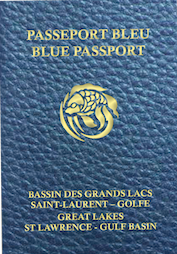 The Blue Passport is an official acknowledgement of citizen participation in water protection, use, conservation and management. It promotes citizens who take action - individually or collectively - for water at local level throughout the watershed. The 7th Edition of the world’s largest water event is expected to gather over 30,000 people from multi-stakeholder backgrounds for 6 days of high-quality sessions, intense debates and informative workshops. The Water Channel is an open resource with numerous videos related to water. It is a vivid community of creative people tuned into water. The Water Channel supports, stimulates and inspires people all over the world to work towards better management of water and natural resources! UN-Water is the United Nations inter-agency coordination mechanism for all freshwater and sanitation related matters. It provides the platform to address the crosscutting nature of water and maximize system-wide coordinated action and coherence. The IWRM ToolBox is a free and open database with materials all available for use by anyone who is interested in implementing better approaches for the management of water or learning more about improving water management at a local, national, regional or global level.